My Shoe Collection, part 1! Today I decided I wanted to share my passion for shoes with you, so I’m going to show you my shoe collection. 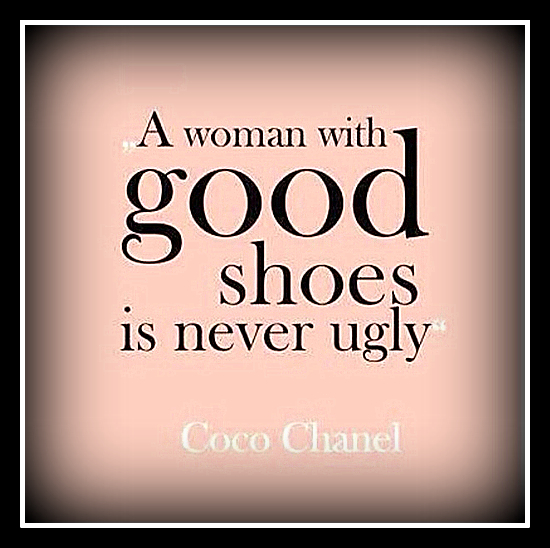 The quote by Coco Chanel is like a life motto to me, good shoes are a must for me. You can tell by a women her clothing and shoes if she has put some thought in her appearance, but we don’t need to look like supermodels these days, everyone is pretty in their own way. Now enough with the rambling, let us begin with the first pair of shoes. 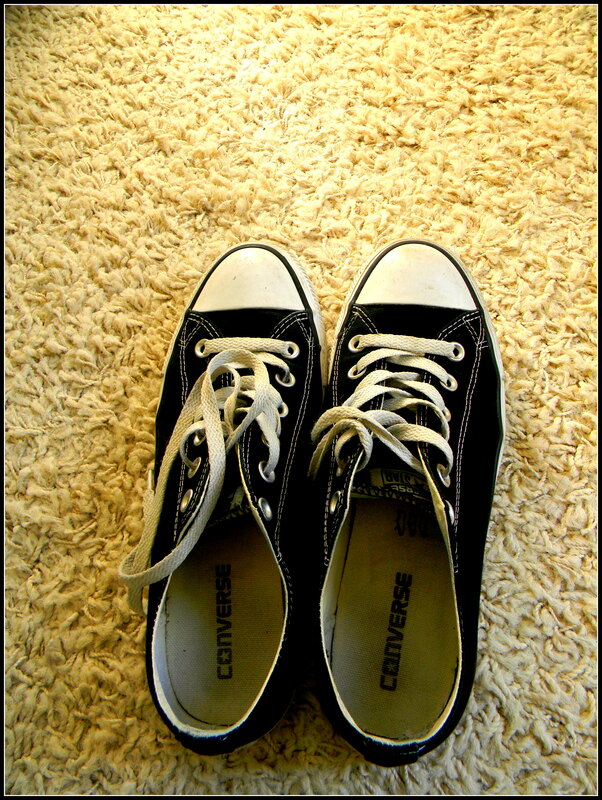 This is my first pair of sneakers, just simple black converse. I decided six months ago that I also wanted the experience the hype behind the all stars, as I saw everyone walking around with them. I have to say that these shoes are not the best I’ve ever had, to begin with they are way overpriced, they retail for about 65/70 euros. But I decided I still wanted to try them, good luck that I didn’t have to walk a lot the first time I wore them, my feet were killing me and some of my toes were bleeding… Now after six months the shoes aren’t as bad as before, but I only use them to go to University or to work with. 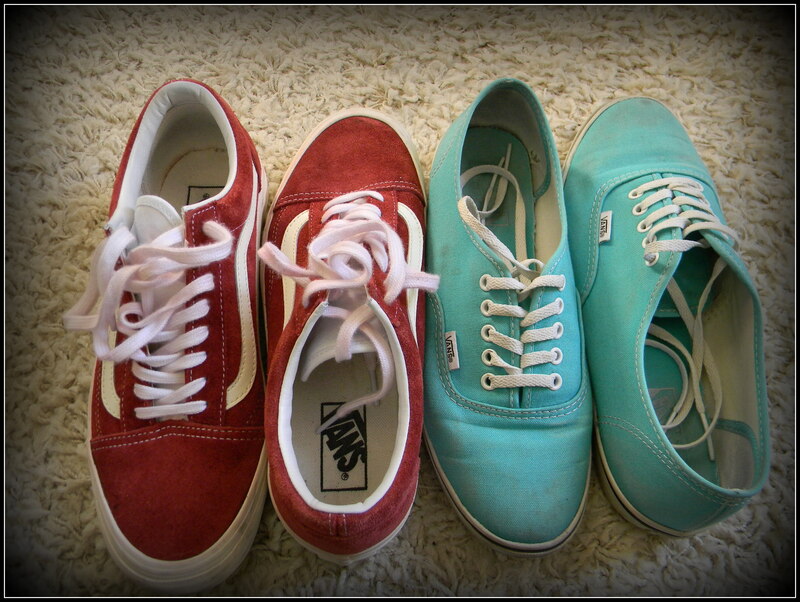 Now we are talking, these are my beloved Vans. As you can see I have two pairs of them, the left ones are an old school red version and the right ones are a more green/blue type. The red Vans are perfect for in winter, as they are thicker than the originals. I bought them while I was in London and for a complete bargain, I only paid 28,50 pounds. The green Vans are made of a thinner material and are likely to get more dirty, but they are fine for in summer and look cute when you have a nice tan.